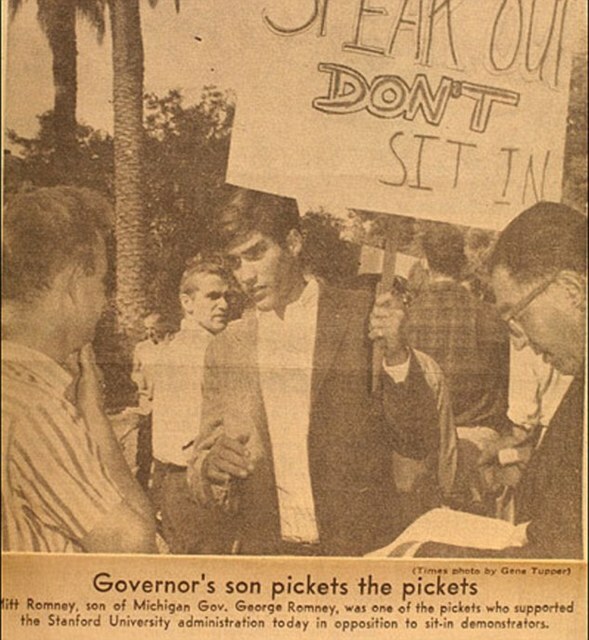 So here’s Romney, looking dapper in a sports coat and khaki slacks, protesting FOR the Vietnam Draft. He knows that as a Mormon Missionary, he’s exempt from the draft. He doesn’t particularly care if a bunch of his classmates die slogging through Vietnamese mud. He can get behind that. As long as he doesn’t have to go himself.